The Emu Bay Shale Formation of Kangaroo Island, South Australia is Australia's only known Burgess-Shale-type Konservat-Lagerstätte, and includes faunal elements such as Anomalocaris, Tuzoia, Isoxys, Xandarella, and Primicaris, in common with other Burgess-Shale-type assemblages, particularly the Chengjiang Fauna in China, the closest palaeogeographically, although somewhat older. 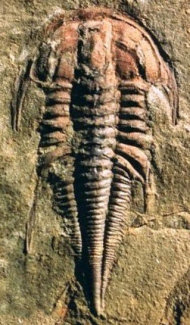 The site is also the source of magnificent specimens of trilobites such as Redlichia takooensis, Emuella polymera, Balcoracania dailyi, and Estaingia (=Hsuaspis) bilobata. Balcoracania and Emuella are members of the distinctive redlichiine superfamily Emuelloidea, known for numerous segments (over 60 in large Balcoracania specimens), and so far entirely restricted to Australia. The depositional environment of the majority of Burgess-Shale-type assemblages is outer shelf, deeper water. The Emu Bay shale in contrast, appears to represent relatively shallow water deposition, indicating that soft tissue preservation occurred in a range of environmental settings during the Cambrian. Some Emu Bay fossils display extensive mineralization of soft tissues, most often of blocky apatite or fibrous calcium carbonate, but some including the oldest phosphatized muscle tissue and the first thus far reported from the Cambrian. Mineralized soft tissues are apparently rare among Burgess-Shale-type biotas. The type section of the Emu Bay Shale crops out on the east side of Emu Bay where it conformably overlies the White Point Conglomerate. Here it yields a rich assemblage of Hsuaspis, Redlichia, hyolithids, brachiopods, and the scleritome-bearing Chancelloria. At the Big Gully locality (8 km east of White Point), its presumed correlative is unconformable on the White Point Conglomerate and yields soft-bodied fossils in addition to the trilobites, including the giant predator Anomalocaris, Isoxys, Tuzoia, the presumed worm Palaeoscolex, the problematic Myoscolex, and a number of rarer elements. 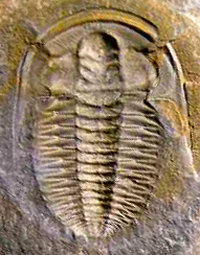 The Big Gully trilobites rarely preserve any trace of non-biomineralized tissue; a small number of specimens of Redlichia have been reported with antennae. 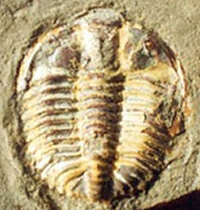 Some trilobite specimens from Emu Bay have their soft parts preserved, as in the Burgess Shale and Chengjiang lagerstatten. Redlichia takooensis with antennae and limbs apparent are the most well-known of these. In addition to trilobites, there were other species of arachnomorph (trilobite-like clade) arthropods such as Xandarella, and Primicaris. 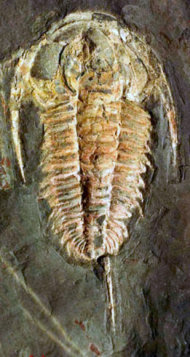 These trilobite-like arthropods demonstrate that the group from which trilobites arose was itself successful and diverse, though being uncalcified, are only preserved at exceptional lagerstatten such as the Burgess Shale and Chengjiang. Because the Burgess Shale was the first lagerstatte with such exceptional preservation, other sites with similar preservation are referred to as "Burgess Shale type" lagerstatten. *In Paterson & Edgecombe 2006, Balcoracania flindersi is regarded as a synonym for B. dailyi, while both species of Emuella are maintained. Hagadorn, J.W. 2002. 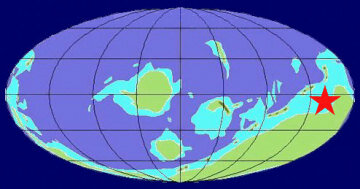 Burgess Shale-type Localities: The global picture. in: Bottjer, D.J., W. Etter, J.W. Hagadorn & C.M. Tang, eds., Exceptional Fossil Preservation -- A Unique View on the Evolution of Marine Life. 403 pp. Columbia University Press. Nedin, C., 1995. 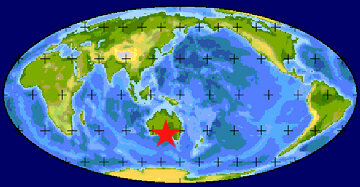 The Emu Bay Shale, a Lower Cambrian fossil Lagerstätte, Kangaroo Island, South Australia. Memoirs of the Association of Australasian Palaeontologists, 18, 31-40. Paterson, J.R. & G.D., Edgecombe. 2006. The Early Cambrian trilobite family Emuellidae Pocock, 1970: Systematic position and revision of Australian species. Journal of Paleontology 80(3): 496-513. Paterson, J.R. & J.B. Jago. 2006. New trilobites from the Lower Cambrian Emu Bay Shale Lagerstätte at Big Gully, Kangaroo Island, South Australia. Memoirs of the Association of Australasian Palaeontologists 32: 43-57.